TRBOnet is a professional grade application especially developed for Dispatch centres that monitor large amounts of traffic. It supports digital as well as analogue channels that could be helpful for clients during their migration period. It also makes response during emergency situations quick and effective, and can be used to link multiple agencies or departments at the touch of a button by the dispatcher. TRBOnet will enable you to monitor audio, data, and the locations of your assets, provide record management and ability to review events that have taken place. The MOTOTRBO integrated GPS allows for indication of subscribers’ location and routes on map. 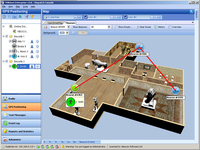 TRBOnet gives rich functionality for GPS Positioning and supports various vector and raster map types. The IP Site Connect digital solution uses the Internet to extend the coverage of your MOTOTRBO communication system no matter where you’re located. You can communicate easily among geographically dispersed locations across the city, county or country. 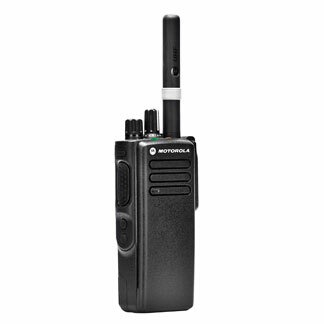 With Capacity Plus, you can further expand the capacity of your MOTOTRBO two-way radio system. Capacity Plus is a scalable, single-site trunking solution that enables up to 1200 MOTOTRBO radio users to share both voice and data communication on the same system. Ideal for resorts, hotels, hospitals, warehouses, manufacturing plants and other medium to large single-site facilities, Capacity Plus allows your work force to quickly and efficiently share a large amount of business-critical communication resulting in increased productivity for your business. Make your business a significantly more efficient and safe workplace through automatic, intelligent dispatch of alarms and tasks. ZONITH Alarm Control System picks up alarms from any alarm source. It pairs the alarm with the right on-duty employee through the intelligent scheduler, ensuring that problems get handled at the right time by the right person. The alarms are sent as text messages directly to this person on his or her digital radio, pager, mobile phone or email account, depending on how critical the alarm is. The RBX +Plus is a feature rich digital radio to telephone interconnect designed to meet the needs of a mobile workforce. RBX +Plus (Radio Branch Exchange) is a solution designed to meet the needs of customers that require customizable private mobile telephony. RBX +Plus brings the benefits and features of a modern PBX to digital radios such as speed dialling, contacts lists, voicemail etc. 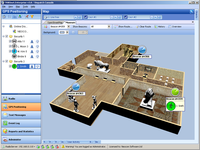 The software application is installed on a standard server and connects a radio network to a PBX. RBX +Plus has been specifically designed for MOTOTRBO digital radios. It is a cost effective alternative to mobile phones and Wi-Fi telephony systems.